Suitable for use with the widest range of wallcoverings. The in-built flexibility will allow for excellent smoothing, using little pressure. 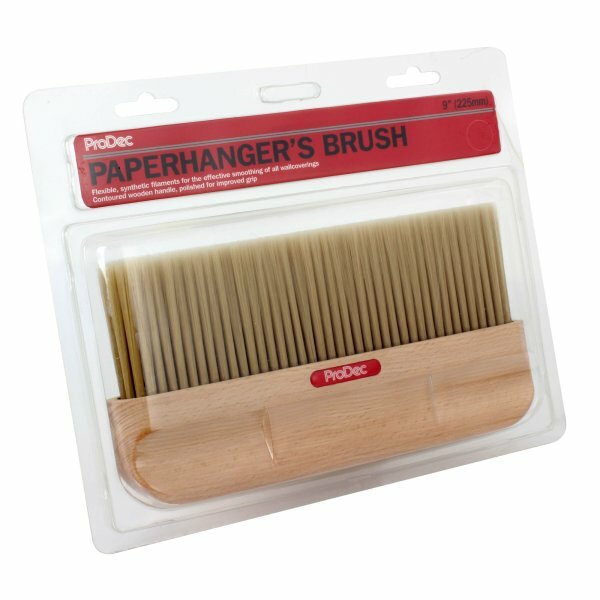 Soft synthetic filaments make this brush suitable for use with the widest range of wallcoverings. The in-built flexibility will allow for excellent smoothing, using little pressure, to eliminate all bubbles and for shaping into corners to achieve a professional finish every time. A contoured, polished handle provides improved grip and comfort in use.